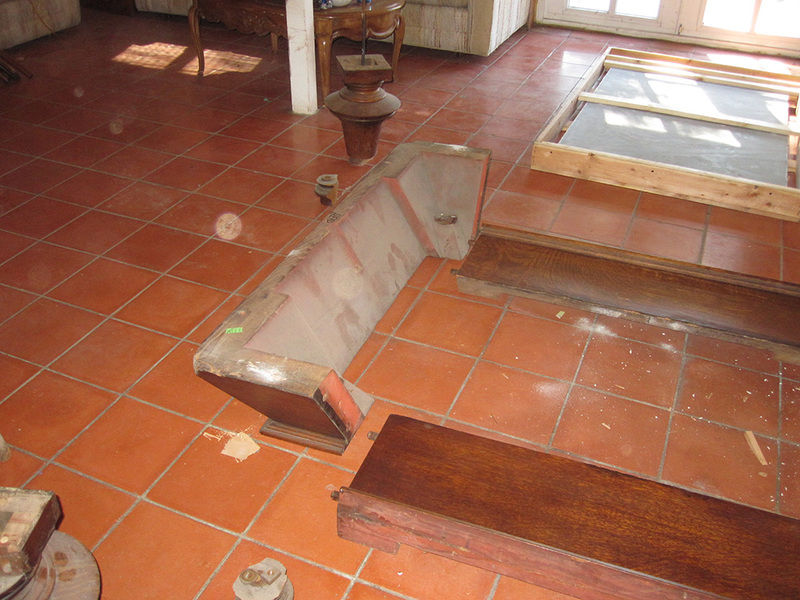 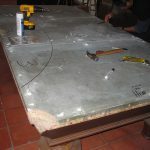 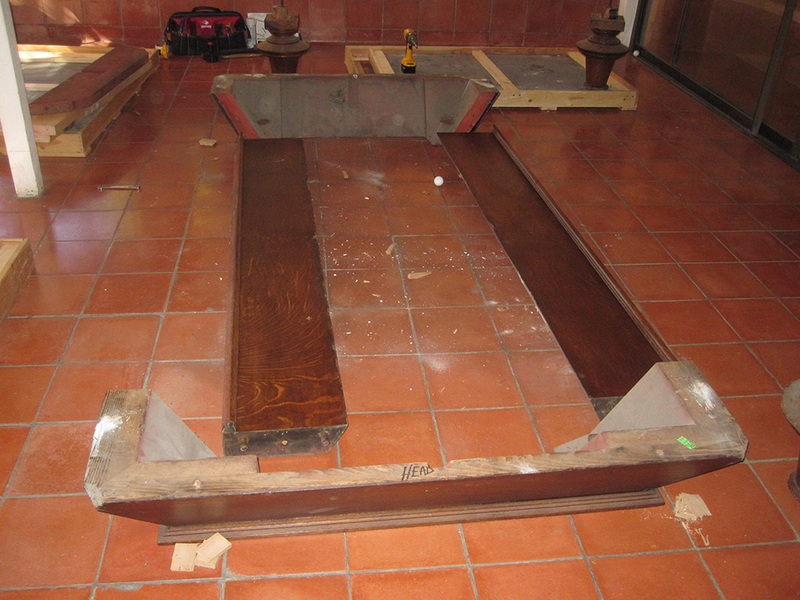 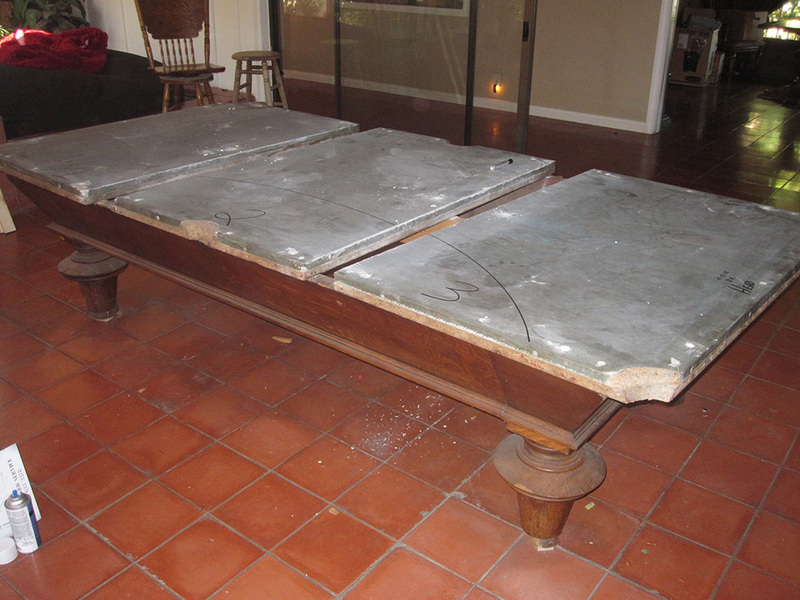 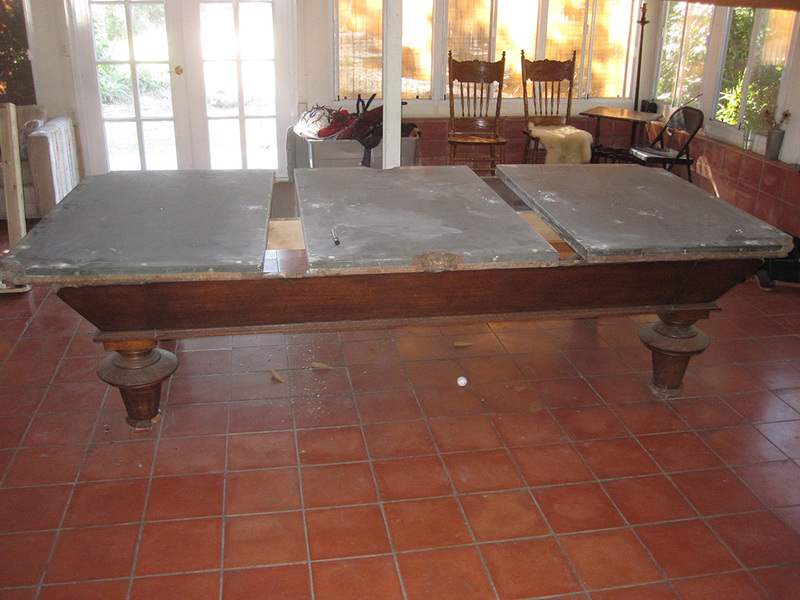 We were hired by a client in Billerica, MA to disassemble and crate up his Godparents’ antique Brunswick-Balke-Collender. 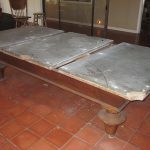 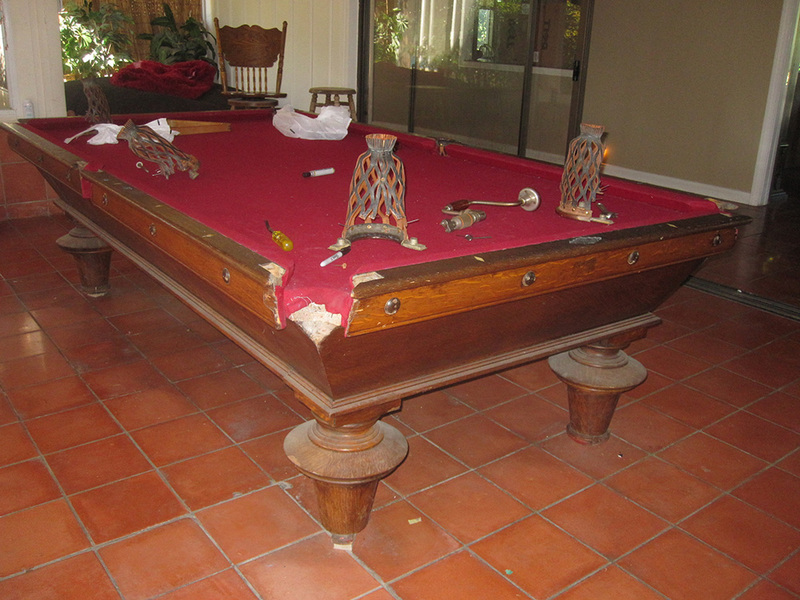 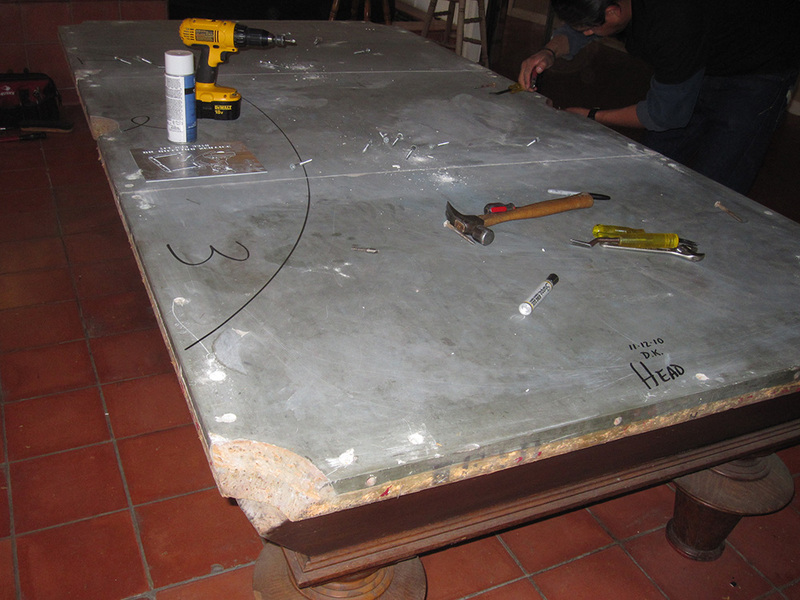 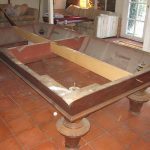 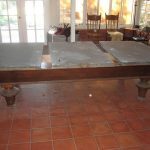 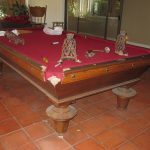 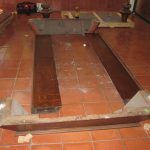 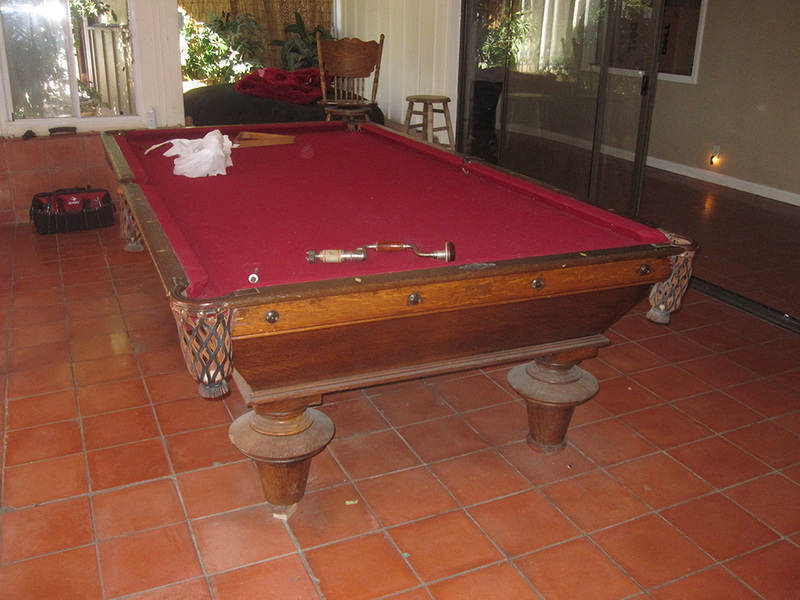 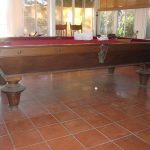 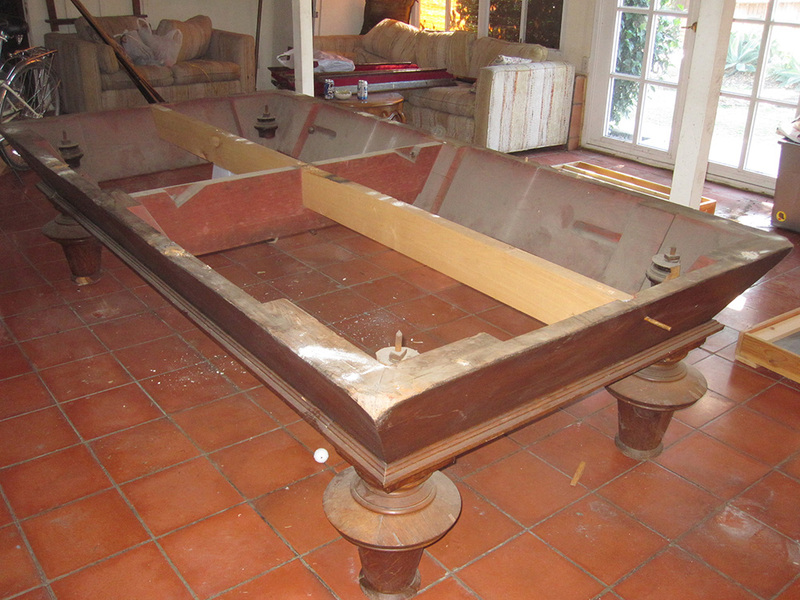 The antique billiard table has been in this Fullerton, CA family’s game room for decades. 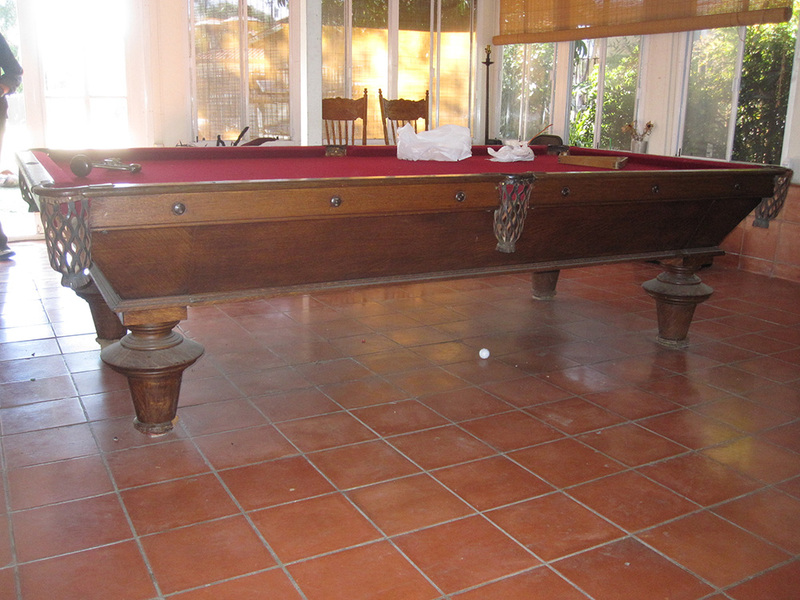 Apparently our client landed a teaching job at Cornell, he wants to keep this antique pool table in the family. 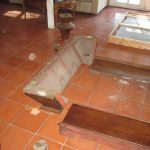 He’s having someone drive all the parts back east to his mother’s house for safe keeping.